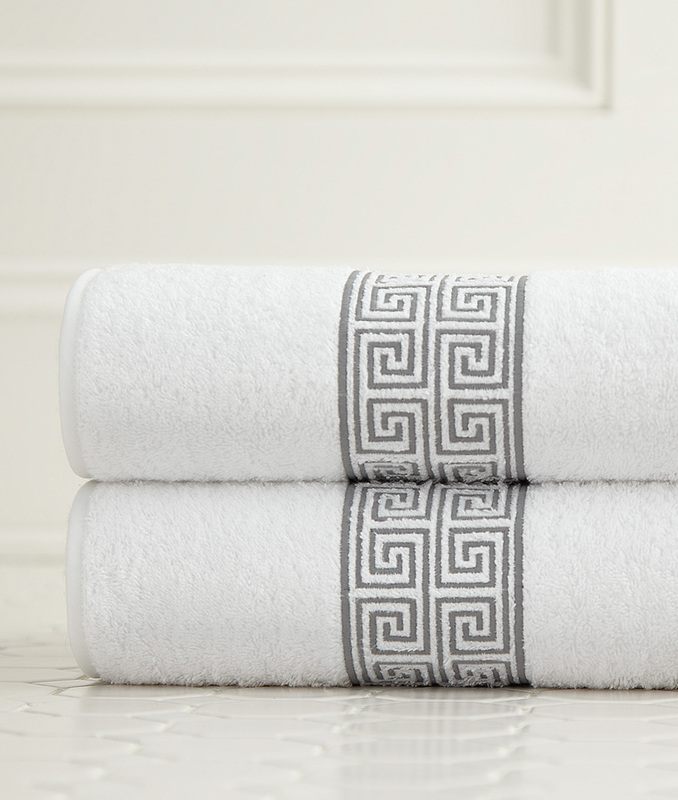 Our plush terry towels available in White and Ivory with Duet Embroidery in more than 30 Matte Thread Colors (click Color Options to view). 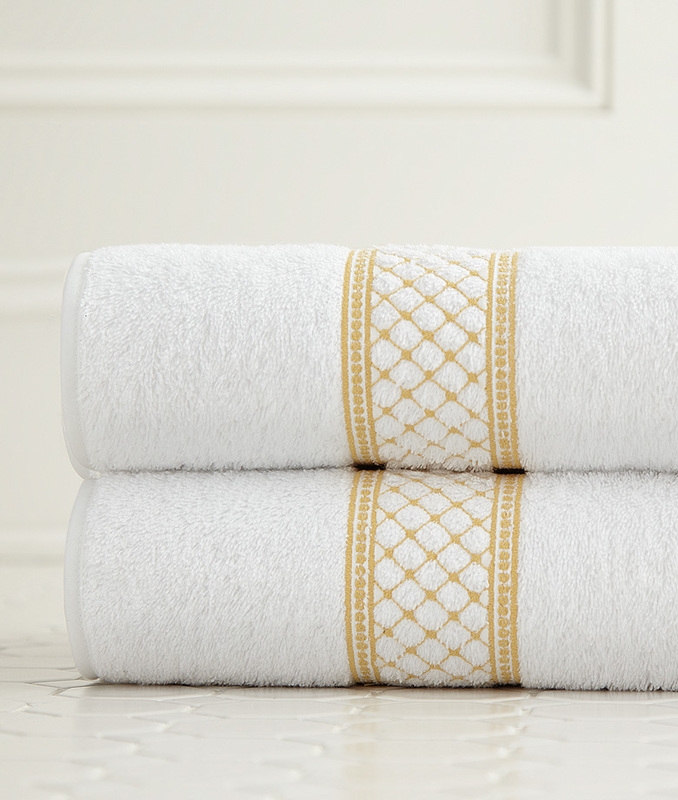 Bath Sheet and Bath Towels with Wide Duet Embroidery. 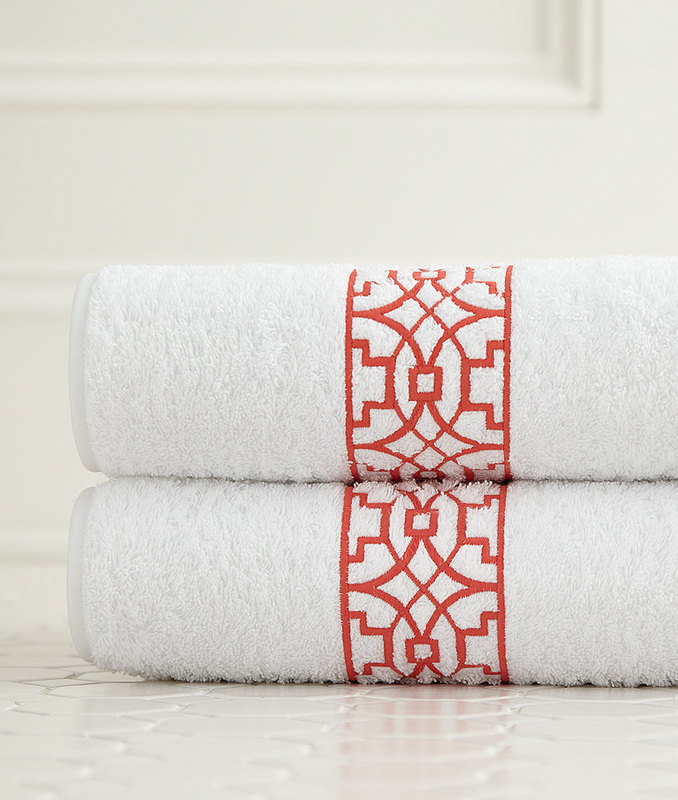 Hand and Guest Towels with Narrow Duet Embroidery. 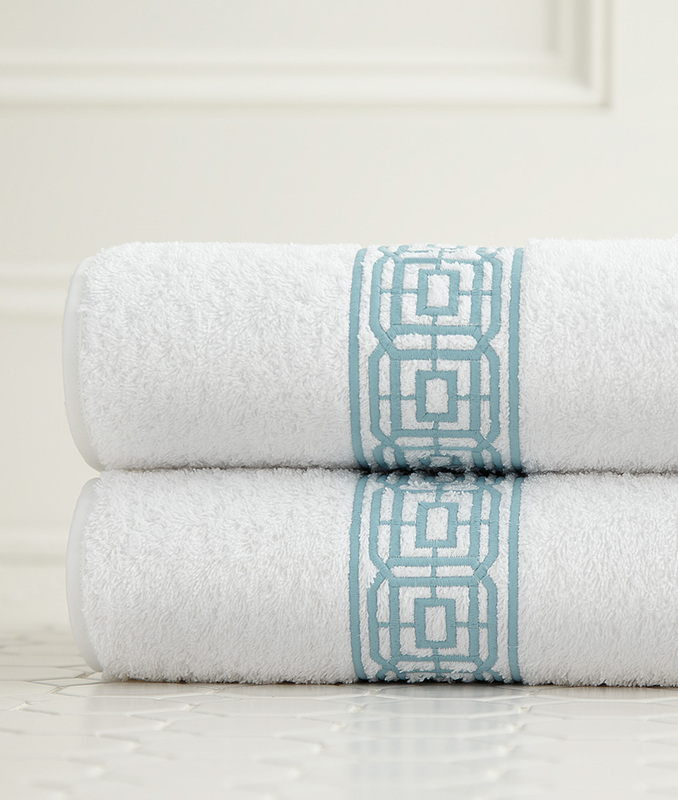 Coordinates with our Duet Embroidery Bedding, and Sheeting.